The weird thing about this injury was the fact that, despite all of that unnatural bending, no bones were broken and only two ligaments were torn in his knee. The worst part of this injury was that it stretched an artery in his leg, causing internal bleeding that the doctors seriously considered the option of amputating his leg below the knee. Obviously if this happened then it would be the end of his football career, but somehow, whether by sheer luck or by an act of God, as Pharaoh believes, his leg was saved. 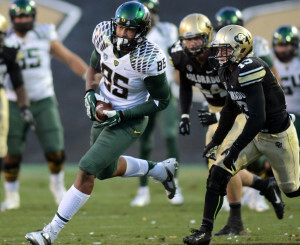 Heres to hoping to see Pharaoh back on the field for Oregon. As you can probably imagine, even though the leg was saved it took a of rehab to get back to just being able to walk. 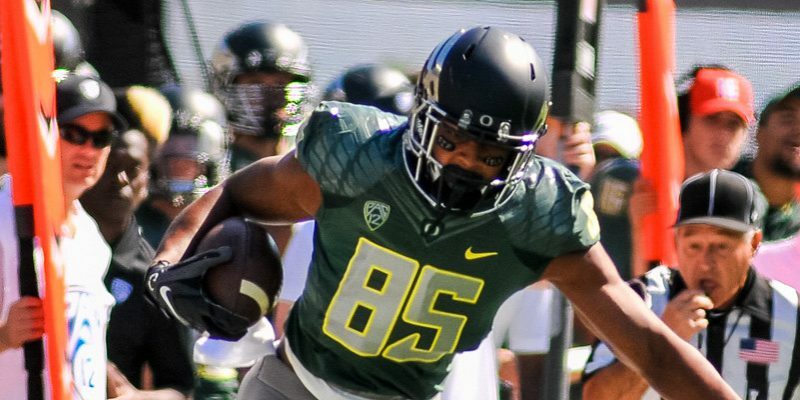 Through both his own sheer determination and the Oregon training staff’s dedication to getting him back to 100%, he is actually a month ahead of schedule now. But there is still some uncertainty about his playing career. Brown himself has said he won’t play again until he is both 100% physically and is back to being 100% confident in his leg to not give out. Even if he was willing to come back as soon as physically cleared, he is still a ways off from playing again. With him wanting to be totally ready to go, though, it would seem likely that he may not play this upcoming season. In all likelihood, Brown will redshirt Oregon’s upcoming season and be ready to come back for the 2016 season. While this does seem like a bit of a long wait to have to go through for him, the thing to keep in mind, here, is that just a few months ago he was very close to never playing again. But Brown’s will to play again is the ultimate factor.